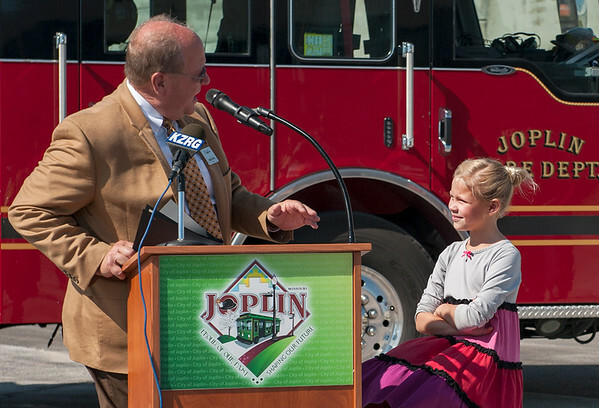 Joplin mayor Mike Seibert introduces eight-year-old Lillian Brown during ribbon cutting ceremonies for the 20th Street viaduct on Tuesday afternoon. Brown, who lives within sight of the bridge, shares a birthday with the original scheduled opening of the bridge on June 8. Brown considered the opening a birthday present and on Tuesday, Seibert presented Brown with her belated brithday gift.